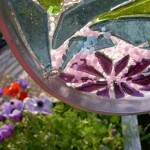 Artistry in Iron. 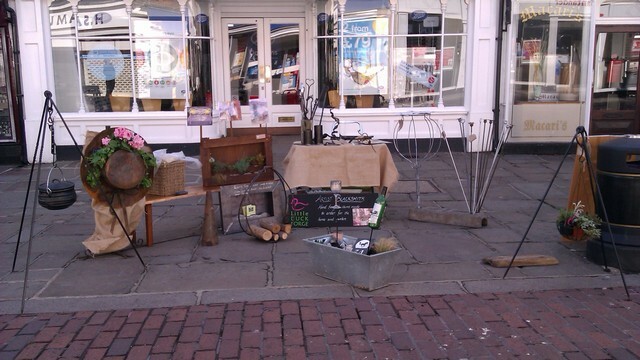 Quality hand forged items for the home and garden. 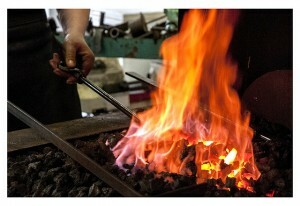 Blacksmith workshop days. 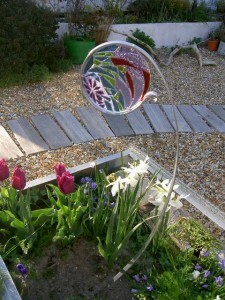 Little Duck Forge specialises in contemporary ironwork using a combination of traditional and modern forge work techniques to create unique hand crafted metalwork. Lucille Scott is a designer blacksmith, her main tools are the hammer and the anvil. 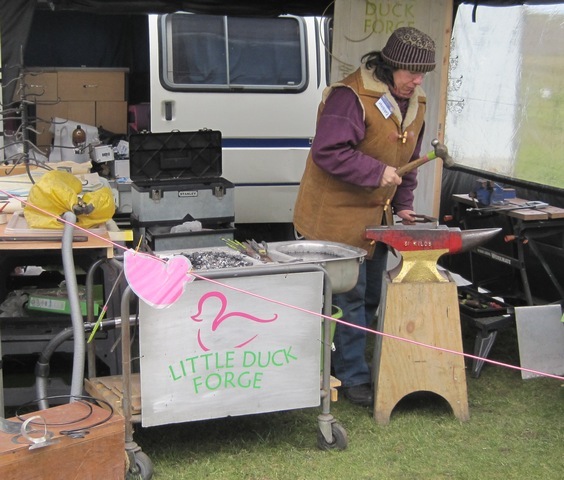 Little Duck Forge produces a range of hand forged items for the House and Garden including Fireside tools, Garden sculptures and outdoor cooking accessories. 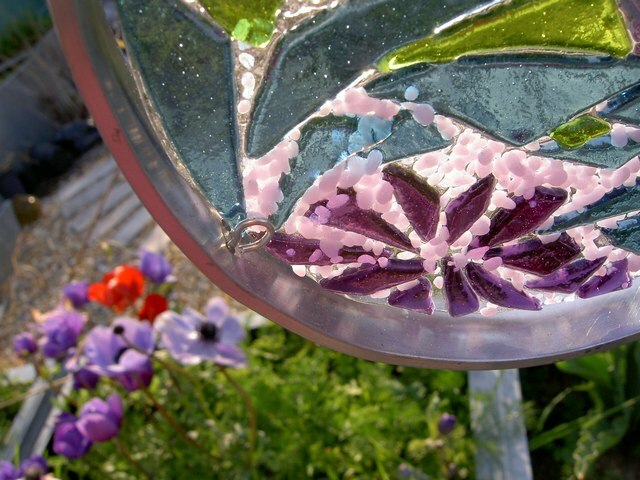 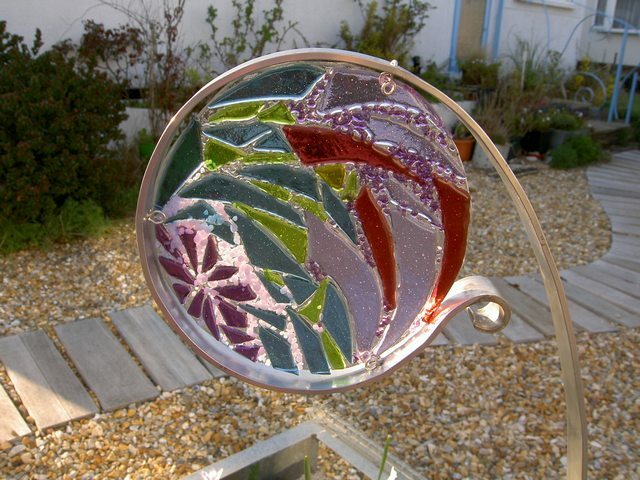 Lucille is also working with a number of local Glass artists to produce wonderful garden artworks combining the traditional strength of forged metal with the light catching effects of coloured fused glass. 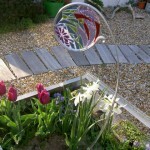 Most work is done to commission and Lucille is always happy to discuss any projects or ideas. 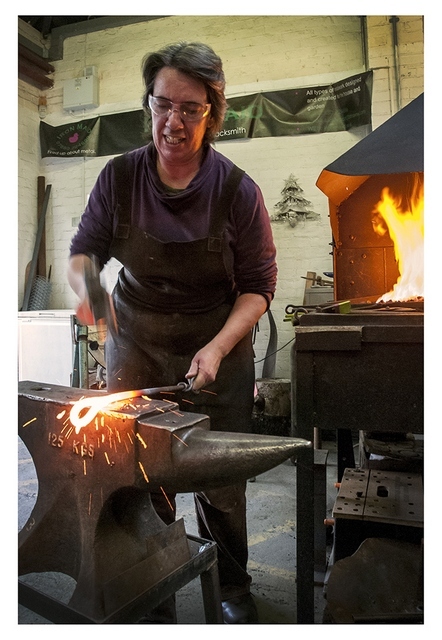 If you would like to have a bash at being a Blacksmith in the forge at Eastney, Lucille runs regular workshops throughout the year. This is an opportunity to experience for yourself (or as a gift to that special someone) the joy of working with hot metal to transform it into an item with a life of its own. 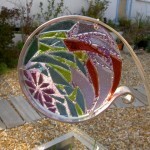 The day is tailored to your skills giving you a chance to make something that you will be proud to take home. 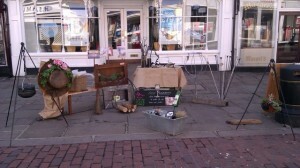 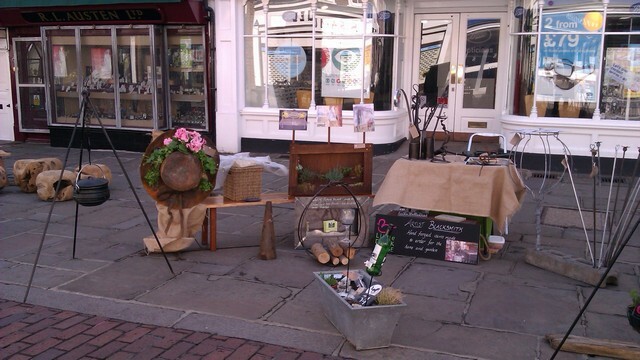 Lucille will be demonstrating at her stand using the mobile Little Duck Forge. 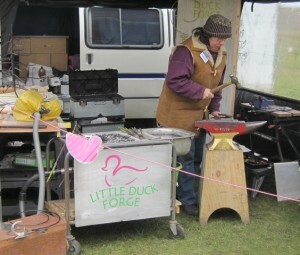 Look out for the Mobile Little Duck Forge at a number of events this summer. 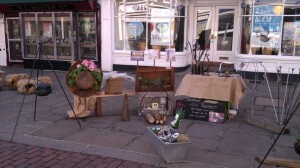 Hopefully they will be warmer than the one where this photograph was taken and the Sheepskin jacket is not needed.